For many years of my young life, LUSH was the gift of choice when guys were stumped about what to get girls. In high school, boys invited to girls' birthday parties and Secret Santa get-togethers would pick up an assortment of bath bombs as a gift; their scent wafted through the telltale black-and-white bag. When I was in university and got my first job working retail at a toy store, my former boss would buy us all pre-wrapped LUSH sets as gifts, along with a yardstick of Purdy's chocolates and a nice little bonus tucked into a Christmas card. LUSH is still the gift of choice for the hard-pressed more than a decade later, and I'm not just talking guys either: Those of us who are crunched for time or not great at the whole Christmas shopping and wrapping thing—'cause let's face it, not all of us are aspiring to be the next Martha Stewart or Blake Lively—can buy a beautiful pre-wrapped gift full of handmade bath, body, and skincare products. What's more, recipients universally adore them because LUSH products aren't just about the promise of softer, smoother skin (although their shower gels and moisturizers certainly deliver). They elevate daily grooming rituals and infuse them with indulgence and joy. The scent, colour, and even sparkle all invite us to take a moment and just enjoy—a couple more minutes in the shower, a longer-than-usual soak in the tub, the scent or texture of a lotion being rubbed into parched skin. LUSH is in essence the promise of time well-wasted, and in today's busy world, it's a welcome gift. So if you find yourself caught in a last-minute Christmas shopping bind this weekend, do yourself a favour and stop at one of LUSH's many locations (including a new store inside Pacific Centre!). 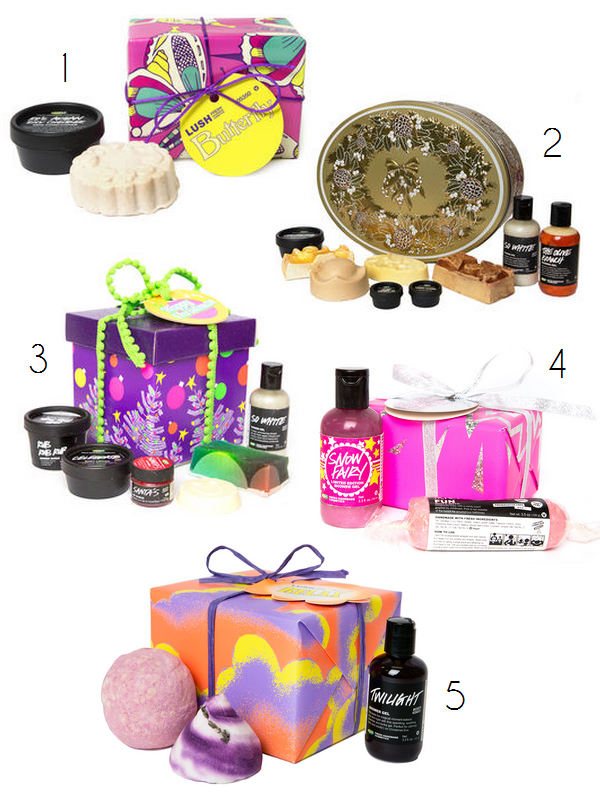 LUSH has more than enough ideas for the ladies and lads left on your list. I've rounded up a few of my fave gift sets here with a focus on soft skin and relaxation if you need inspiration.